I left academia in February 2016 after 10 wonderful years conducting research in Aeroacoustics to join BMLL Technologies so this is mostly for posterity or for people looking for my publications. Articles are shown first, followed by conference papers and theses. Enter some text to filter the entries, for example try "2015", "conference", "AIAA", "Kingan" or "thesis". Columns are sortable (click on the header). Abstract: This paper explores the nature of sound spectra within subsonic jets. Three problems of increasing complexity are presented. First, a point source is placed in a two-dimensional plug flow and the sound field is obtained analytically. Second, a point source is embedded in a diverging axisymmetric jet and the sound field is obtained by solving the linearized Euler equations. Finally, an analysis of the acoustic waves propagating through a turbulent jet obtained by direct numerical simulation is presented. In each problem, the pressure or density field is analyzed in the frequency-wavenumber domain. It is found that acoustic waves can be classified into three main frequency-dependent groups. A physical justification is provided for this classification. The main conclusion is that, at low Strouhal numbers, acoustic waves satisfy the d&apos;Alembertian dispersion relation. Abstract: We investigate source mechanisms for subsonic jet noise using experimentally obtained data-sets of high Reynolds number, Mach 0.4 and 0.6 turbulent jets. The focus is on the axisymmetric mode which dominates downstream sound radiation for low polar an- gles and the frequency range at which peak noise occurs. A Linearized Euler Equation (LEE) solver with an inflow boundary condition is used to generate single-frequency hydrodynamic instability waves and the resulting near-field fluctuations and far-field acoustics are compared with those from experiments and Linear Parabolized Stability Equations (LPSE) computations. It is found that near-field velocity fluctuations closely agree with experiments and LPSE up to the end of the potential core, downstream of which deviations occur but LEE results match experiments better than LPSE results. Both the near-field wave packets and the sound field are observed directly from LEE computations, but the far-field sound pressure levels obtained are more than an order of magnitude lower than experimental values despite close statistical agreement of the near hydrodynamic field upto the potential core region. We explore the possibility that this discrepancy is due to the mismatch between the decay of two-point coherence with increasing distance in experimental flow fluctuations and the perfect coherence in linear models. To match the near-field coherence, experimentally obtained coherence profiles are imposed on the two-point cross-spectral density (CSD) at cylindrical and conical surfaces which enclose near-field structures generated with LEE. The surface pressure is propagated to the far-field using boundary value formulations based on the linear wave equation. Coherence-matching yields far-field sound pressure levels which show improved agreement with experimental results, indicating that coherence-decay is the main missing component in linear models. The CSD on the enclosing surfaces reveals that applying a decaying coherence profile spreads the hydrodynamic component of the linear wave packet source on to acoustic wavenumbers, resulting in a more efficient acoustic source. Abstract: In this paper we introduce concepts from relativity and geometric algebra to aeroacoustics. We do this using an acoustic space-time transformation within the framework of sound propagation in uniform flows. By using Geometric Algebra we are able to provide a simple geometric interpretation to the space-time transformation, and are able to give neat and lucid derivations of the free-field Green's function for the convected wave equation and the Doppler shift for a stationary observer and a source in uniform rectilinear motion in a uniform flow. Abstract: A new analytical model is developed for the prediction of noise from serrated trailing-edges. The model generalizes Amiet's trailing-edge noise theory to sawtooth trailing-edges, resulting in an inhomogeneous partial differential equation. The equation is then solved by means of a Fourier expansion technique combined with an iterative procedure. The solution is validated through comparison with finite element method for a variety of serrations at different Mach numbers. Results obtained using the new model predict noise reduction of up to 10 dB at 90 degree above the trailing-edge, which is more realistic than predictions based on Howe's model and also more consistent with experimental observations. A thorough analytical and numerical analysis of the physical mechanism is carried out and suggests that the noise reduction due to serration originates primarily from interference effects near the trailing-edge. A closer inspection of the proposed mathematical model has led to the development of two criteria for the effectiveness of the trailing-edge serrations, consistent but more general than those proposed by Howe. While experimental investigations often focus on noise reduction at ninety degrees above the trailing-edge, the new analytical model shows that the destructive interference scattering effects due to the serrations cause significant noise reduction at large polar angles, near the leading edge. It has also been observed that serrations can significantly change the directivity characteristics of the aerofoil at high frequencies and even lead to noise increase at high Mach numbers. Abstract: An approximate decomposition of fluid-flow variables satisfying unbounded compressible Navier–Stokes equations into acoustically radiating and non-radiating components leads to well-defined source terms that can be identified as the physical sources of aerodynamic noise. We show that, by filtering the flow field by means of a linear convolution filter, it is possible to decompose the flow into non-radiating and radiating components. This is demonstrated on two different flows: one satisfying the linearised Euler equations and the other the Navier–Stokes equations. In the latter case, the corresponding sound sources are computed. They are found to be more physical than those computed through classical acoustic analogies in which the flow field is decomposed into a steady mean and fluctuating component. Abstract: This paper presents a new formulation for trailing edge noise radiation from rotating blades based on an analytical solution of the convective wave equation. It accounts for distributed loading and the effect of mean flow and spanwise wavenumber. A commonly used theory due to Schlinker and Amiet predicts trailing edge noise radiation from rotating blades. However, different versions of the theory exist; it is not known which version is the correct one, and what the range of validity of the theory is. This paper addresses both questions by deriving Schlinker and Amiet's theory in a simple way and by comparing it with the new formulation, using model blade elements representative of a wind turbine, a cooling fan and an aircraft propeller. The correct form of Schlinker and Amiet's theory is identified. It is valid at high enough frequency, i.e. for a Helmholtz number relative to chord greater than one and a rotational frequency much smaller than the angular frequency of the noise sources. Abstract: This paper is concerned with the development of a theoretical model for the prediction of the sound radiated by serrated trailing-edges. The proposed model is based on Fourier expansion and Amiet's formulation. By using an iterative PDE-solving procedure, the scattered pressure field on the surface of an airfoil with sawtooth trailing-edge serrations is obtained. The far-field sound is then evaluated using the surface pressure integral based on the theories of Kirchhoff and Curle. The power spectral density (PSD) of the far-field sound is then related to the wavenumber spectral density of the hypothetical surface pressure under the turbulent boundary layer that would exist when the trailing-edge is absent. Numerical evaluation of the new model has shown better agreement than that obtained using Howe's model. Based on the new model, the sound reduction achieved by a trailing-edge with sharp sawtooth serrations is around 5-10 dB for a wide frequency range. This result better agrees with experiments, in which the average sound reduction is reported to be 5-7 dB. The results obtained using the new analytical model also agree well with FEM computations, suggesting that the model developed in this paper can capture the essential physics and give correct predictions for the sound generated by serrated trailing- edges. In the end, the physical mechanism of noise reduction is found to be the destructive interference effect of the scattered pressure field. Abstract: This paper presents a new simplied approach for the prediction of the acoustic shielding from lifting bodies by means of a finite element method. It extends a method already validated for aerodynamic applications to Aeroacoustics on the basis of the small perturbation expansion. A numerical model to represent the effect of the circulation developed by a slender body on the noise radiation in an unbounded domain is provided. A quasi-potential flow formulation is adopted by introducing a simplied shear layer model: a frozen wake with finite thickness and extent. The effect of the sound diffraction in the wake region is accounted for by applying the continuity of pressure across the wake line in the aeroacoustic field. An incompressible steady mean flow is considered and the Kutta condition is applied to overcome the singularity at the trailing edge. The circulation in the mean flow is predicted by reducing the potential solution to a single-valued problem. The non-uniform base flow is superimposed on the wave propagation and the linear aeroacoustic problem is solved by means of the full acoustic potential equation. The nite element method is applied both to the solution of the base flow and to the acoustic radiation. The acoustic eld scattered by a 2D airfoil from a line source in presence of a non-uniform base flow is predicted as a numerical example of the proposed model. The circulation modies the extent of the acoustic shielding by altering the wave propagation around the slender body, the wave diffraction at the trailing edge and the refraction in the shear layer. Abstract: The focus of this study is to present the limitations of a hybrid numerical method for the prediction of sound propagation and scattering within an unbounded domain. We present a combined Finite Element Method (FEM)/Radiating-surface approach based on a Kirchhoff's integral for- mulation with a mean flow. This work identifies the sources of numerical error inherent to the hybrid method. A potential formulation is adopted for wave propagation and the problem is set in the frequency domain. The finite element method is applied to solve the scattering problem in presence of non-uniformities. The FEM solution, combined with a Perfectly Matched Layer (PML), is mapped on a closed surface. The Kirchhoff's radiating surface with a uniform mean flow propagates acoustic waves in free field. The problem of radiation from a monopole source and the scattering by a cylinder from the same source are presented as numerical examples by ac- counting for a subsonic mean flow. The accuracy in the prediction of the acoustic particle velocity is critical for the efficacy of the method. The main achievement is that the detrimental effect of the mean flow on the pollution error can be limited by applying the hybrid method. On the other hand, the integral formulation is exact only for a uniform mean flow. Abstract: Amiet's aerofoil broadband noise theory is ideally suited to modelling wind turbine noise but few attempt have been published on validating it against experimental data for a full turbine. The main objective of this paper is to present such a validation. Furthermore, slightly different versions of Amiet's theory have been published, making it unclear how to apply it. This paper first reviews and clarifies the outstanding pitfalls in the application of Amiet's theory. The theory is then used to predict the sound power level and amplitude modulation for the DAN-AERO 40m radius turbine. Both trailing edge noise and leading edge noise are considered. Finally, Amiet's theory is used to estimate amplitude modulation. In all cases, results are in good agreement with available experimental data. This paper provides an example of the flexibility and effectiveness of Amiet's theory for predicting wind turbine noise. Abstract: The importance of acceleration in predicting broadband aerofoil noise for high speed blades remains poorly understood. For high speed blades, acceleration becomes significant and Amiet's popular model predicting broadband noise for rotating blades should become invalid. However, previous work suggests that Amiet's model may be applicable even to high speed rotating blades. Previous attempts at clarifying this issue have focused on modelling trailing ede noise in the frequency domain. However, this issue is best studied in the time domain and for the leading edge problem. This paper implements Amiet's blade response functions for leading edge noise in the time domain, using a convected form of the Ffowcs-Williams and Hawkings equations. This allows to easily pinpoint the contribution of acceleration on aerofoil broadband noise. Results show that acceleration can be neglected for high speed propellers when the ratio of frequency over rotor angular velocity is larger than ten percent. Abstract: The FW-H equations allow to extrapolate acoustic fluctuations outside of a particular surface. In many applications, such as jet noise or turbomachinary noise, parts of the surface may lie in regions of high vorticity. Vorticity crossing the surface generates spurious noise sources in the thickness and loading terms. These sources are cancelled out by the quadrupole sources outside of the surface. Unfortunately, these quadrupole sources are usually neglected which leads to incorrect noise predictions. A generalized form of the FW-H formulation was recently developed to overcome this problem. It relies on a distributed extrapolation zone, instead of a single surface. This paper applies this new theory to the simplified problem of a divergence-free Gaussian vortex crossing a spherical FW-H surface. It is shown that the two key parameters driving the accuracy of the noise prediction are the distance between two outflow surfaces, which should be bigger than the characteristic length of the vortex, and the thickness of the outflow region, which should be small compared to the acoustic wavelength. Reductions in the sound pressure level of the spurious noise of up to 13 dB are obtained using 4 surfaces. Abstract: Serrations have been widely studied in the case of stationary blades, as an efficient method for reducing trailing edge noise. However, most of the problems involving trail- ing edge noise are related to rotating blades and it is not known how rotation affects the efficiency of serrations. This paper tackles this problem using an efficient analytical model for predicting trailing edge noise radiation for rotating serrated blades. The model combines Howe's low Mach number isolated airfoil theory with Amiet's rotating airfoil technique. The paper also outlines a theory that generalizes Amiet's stationary airfoil the- ory to serrated trailing edges. Three different types of serrations – sinusoidal, sawtooth and slitted-sawtooth – are investigated for a model wind turbine blade element. The influence of the serrations width, depth, and slits, on noise radiation is compared to known results valid for stationary blades. The best serrations are narrow (relative to the boundary layer thickness) and deep. Rotation has been found to have little impact on the performance of serrations at low Mach numbers. Download full publication record in BibTex format: sinayoko.bib. Figure 1: Figure: Sound energy is not well defined in a turbulent flow. Improving current definitions will help us understand sound energy is generated and propagated through a turbulent flow, and therefore how it can be reduced. An aircraft during take-off generates some of the highest noise levels on earth, loud enough to irreparably damage the hearing of anyone sitting close-by. The noise is particularly distressing to people living near airports and the situation is worsening due to the growth in air traffic. Stringent noise legislation are being put in place so it is urgent to reduce aircraft noise. Where does the noise come from? Although one may think about vibrating surfaces, it is vibrations in the air itself that are responsible. The science that studies this mechanism is called aeroacoustics. The biggest problem in aeroacoustics is this: although we know the air generates the sound, how it does so remains mysterious. The reason is that sound waves are tiny compared to other flow fluctuations: the magnitude of the wind fluctuations are enormous compared to that of the noise they generate. It becomes impossible to tell where sound is coming from: the source of sound is hidden from us. This unfortunate situation may be about to change however. Just like a prism splits a ray of light into different colours, a mathematical technique allows to separate the flow fluctuations according to their speed. Since acoustic waves happen to travel much faster than other fluctuations, it becomes possible to identify them. A new research project aims to build on this technique to not only identify the noise fluctuations within the flow, but to understand for the first time how that noise is generated. To study noise generation, scientists choose between two competing concepts: the noise sources and the acoustic energy. It remains to be seen which one will prove to be the most useful. What is becoming clear is that the technique described above stands to revolutionize the way these two concepts are defined so competition is heating up. Recent studies have been focusing on the noise sources and have already improved our understanding of them. This new project will be focusing instead on acoustic energy. It may well finally explain how wind generates noise and how we can make it quiet. I am the sole investigator on this project for which I have been awarded the 2013 Brunel Fellowship by the Royal Commission of 1851. 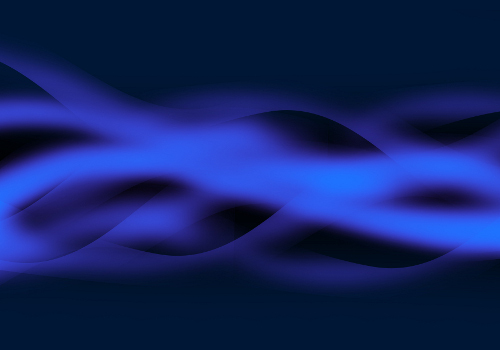 Figure 2: Figure: Just like gravity bends light waves, flow bends sound waves. We therefore model noise propagation in a fluid using techniques from the theory of relativity. which relates the wavenumber \(k\) of the sound wave to its frequency \(\omega\). We are therefore modelling aeroacoustics phenomena in a 4 dimensional space (3 spatial coordinates and 1 time coordinate) called the acoustic spacetime. This problem is very similar to the study of light waves which, as Einstein showed, is best carried out in a 4 dimensional spacetime. 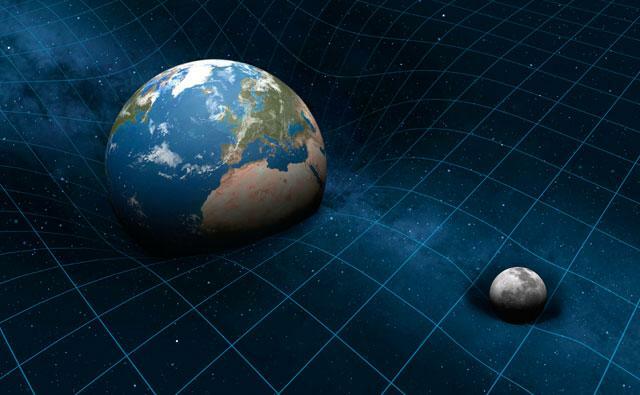 We therefore define an acoustic spacetime by using all the techniques developed by physicists for the theory of special and general relativity. Instead of using the coordinate-heavy tensors, we use the wonderful coordinate-free language of Geometric Algebra (arguably the best mathematical language for physics). One of the key advantages of working in acoustic spacetime, is that it facilitate the use of transformations turning the problem at hand into a simpler problem. For example, combining a Galilean transformation with a Lorentz transformation turns a uniform flow problem into a zero flow problem. The Taylor transformation turns a low Mach number potential flow problem into a zero flow problem. We are working on generalizing the Taylor transformation to any subsonic Mach number. Applications of techniques from general relativity to engineering are yielding impressive results. Some of the most exciting developments are cloacking devices that render an object invisible to electromagnetic waves or sound waves. This 1 year project is being carried out by 4th year undergraduate student Alastair Gregory at the University of Cambridge, under the supervision of Anurag Agarwal and Joan Lasenby and myself. I am working on modelling and reducing gas turbine exhaust noise. The objective is to optimize the struts at the exhaust of the turbine for noise reduction. This project will use a combination of experimental, theoretical and numerical work in collaboration with the Whittle Lab. It is funded by Mitsubishi Heavy Industries. I have developed models for the prediction of wind turbine noise. For large wind turbines, the main source of noise is trailing edge noise. Trailing edge noise is generated when a turbulent gust reaches the trailing edge. Amiet has shown how to predict trailing edge noise for a fixed airfoil. He later extended his theory to predict trailing edge noise for rotating airfoils. However, there were disagreements on how to do this correctly. We have managed to resolve these disagreements and to show how to predict trailing edge noise for rotating airfoils. I am exploring the physics of jet noise generation using direct numerical simulation and signal processing. 4th year module on C programming and Applied Programming Techniques. I've designed and am delivering lectures for the the applied programming part of the course and am running the weekly C programming labs. I'm also responsible for the exam. The labs use the Southampton's automated marking system TeTePy. Students send their programs to the course email address. The programs are compiled, run and tested automatically and students are sent specific feedback. First year Dynamics module. I'm giving 50% of the lectures on particle and rigid body dynamics, focusing on Work, Impulse and Energy Principles. I graduated from Ecole des Ponts ParisTech with a diplome d'Ingenieur in Mechanical Engineering. I also obtained an MSc in Sound and Vibration and a PhD in Aeroacoustics from the Institute of Sound and Vibration Research (ISVR) at the University of Southampton. My PhD was on identifying the sources of jet noise (pdf). I joined BMLL Technologies as a Data Scientist in 2016. If you'd like to know more about my background please take a look at my CV or contact me. I am French of Malian descent and grew up in Orleans. I am also very tall (1.96m); if you see a really tall aeroacoustician it's probably me. I like playing football, squash and I'm a former rugby player and judoka. Finally, I've been having a hard time learning Hungarian.